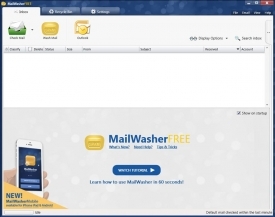 "Wash away spam from your inbox with MailWasher!" Spam used to be a very big problem with mail clients only a few years ago. And for many, spam still poses a threat to a major loss in users. As of late many email providers have taken the initiative and gone great lengths to locate and eliminate spam from your inbox, but even with these efforts, sometimes it still isn't enough. That's where MailWasher comes in. MailWasher is the leader in spam filtering software. It is also the easiest way to check and manage your emails for malicious attachments before you download them. It is free to use and you will never have to pay a premium or be forced to upgrade your software for basic spam filtering. It works with Outlook (including Express), Gmail, Hotmail, Thunderbird, and ever other email client out there. MailWasher is the easiest way to safely prevent unwanted emails before they get to your computer. It can also be used as a very effective privacy tool. This is because unlike other email clients, spammers cannot tell whether you have viewed their email or not when you open it in MailWasher. Pretty neat right? 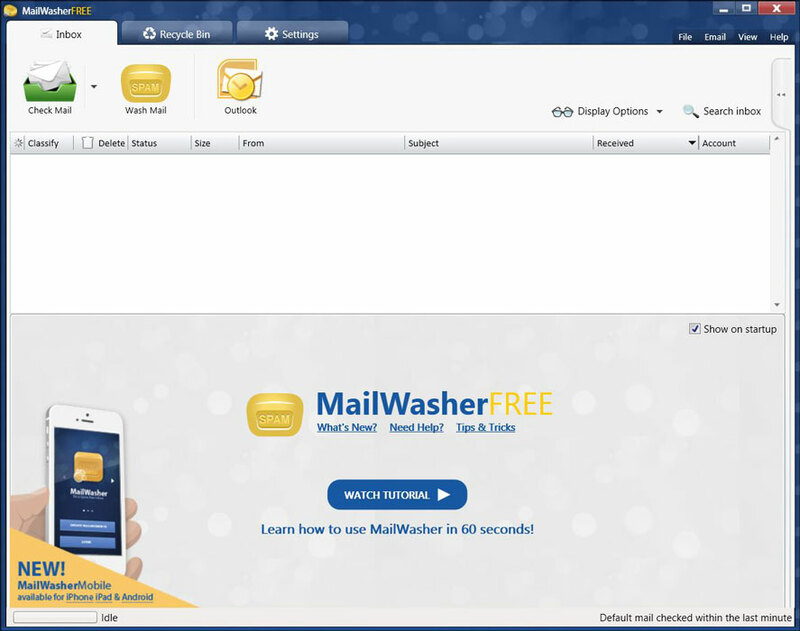 MailWasher also provides its users with a clean interface to work with. There are no obtrusive ads from third party advertisers. In fact, the only ad that I noticed was one for you to download their mobile app on your smartphone. Finally a useful advertisement! The menus in MailWasher are easy to navigate through and the tabs are large and easy to click through as well. If you like what you've heard thus far and you have a spam problem, go ahead and download MailWasher to witness it improve your overall email experience.